Kollaboration never fails to delight and surprise us! The caliber of talent that is drawn to the Kollaboration competition is really amazing, and we are always excited to see what’s coming next! Well, it’s that time of year again, where Kollaboration Star announces the Finale! 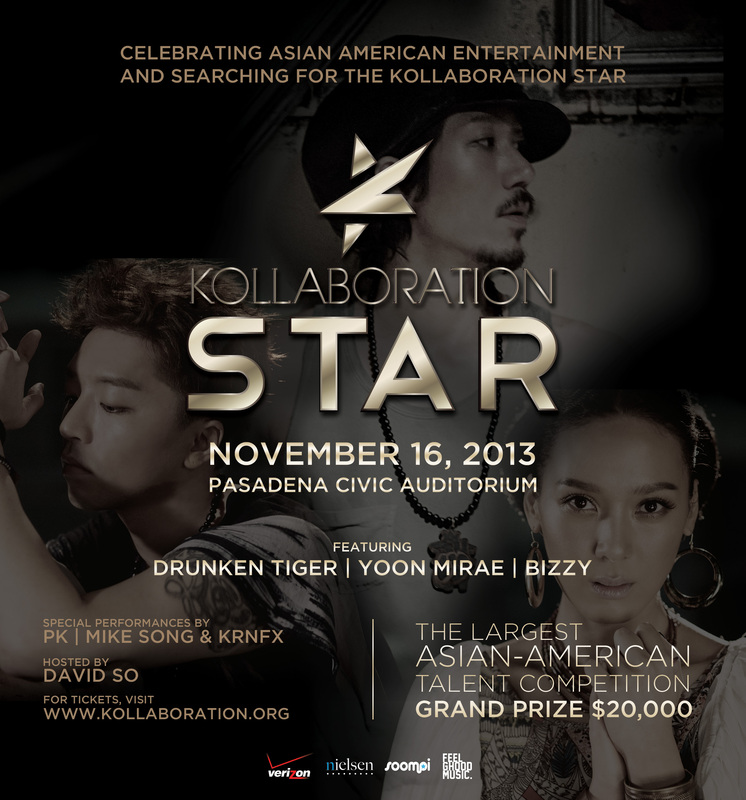 Out of the finalists you choose, only one final, Kollaboration Star will win the grand prize of champion and $20,000! How amazing is that? There is also big news on the performance front as Kollaboration will have the very talented and cool, Tiger JK (Drunken Tiger), Yoon Mirae and Bizzy perform this year! Other guests performances will be given by the hilarious PK, beatboxer KRNFX (Terry Im) and choreographer and dancer Mike Song! The MC of the evening will be popular Youtube personality, David So! Tickets go on sale October 10th, so be sure to check back in then! You don’t want to miss this event!